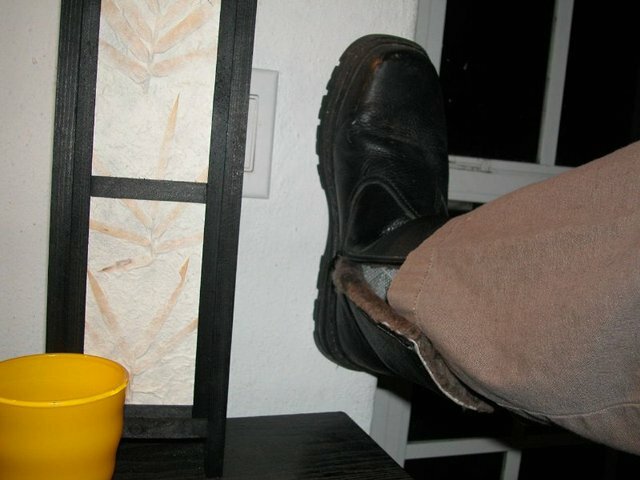 Maybe if you did'nt walk on your cold damp walls and furniture, your need for boots would be less. I like your choice of 'socks' though. Walking on damp walls or just climbing the walls? Canadian winter... Island Girl, hope you have thermals ready for the real cold!